This quad cane has a swan shaped neck which helps distribute user weight. The base is small and it is also height adjustable. It is fitted with 4 non slip ferrules and a comfy grip handle. 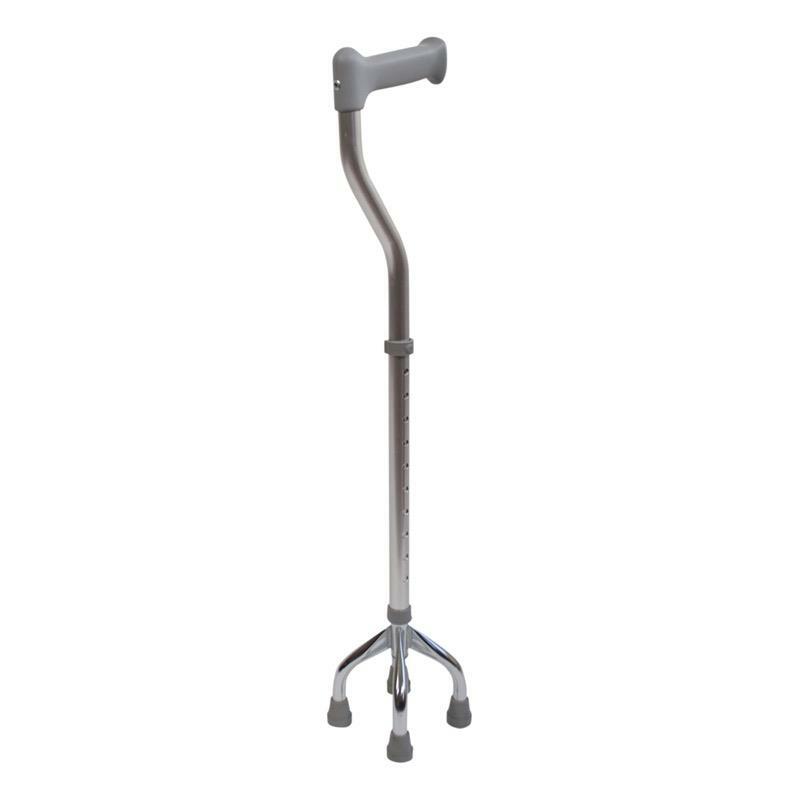 This quad cane has a swan shaped neck which helps distribute user weight. The base is small and it is also height adjustable. It is fitted with 4 non slip ferrules and a comfy grip handle. There are 10 height settings which makes the quad cane suitavle for all users.